President Uhuru Kenyatta’s first son Jomo and his wife Fiona Achola have welcomed a baby girl. Achola, who wedded Jomo in 2016, gave birth to Baby Wanjiru at Aga Khan Hospital on Sunday. This is an early present for Uhuru who is set to be inaugurated on Tuesday for his second term in office. Jomo’s wife is the granddaughter of the late William Omamo and niece to Defense Cabient Secretary Raychelle Omamo. In 2016, Achola got a warm reception at Uhuru’s rural home in Ichaweri, Gatundu, during the traditional ceremony known as the Itara. 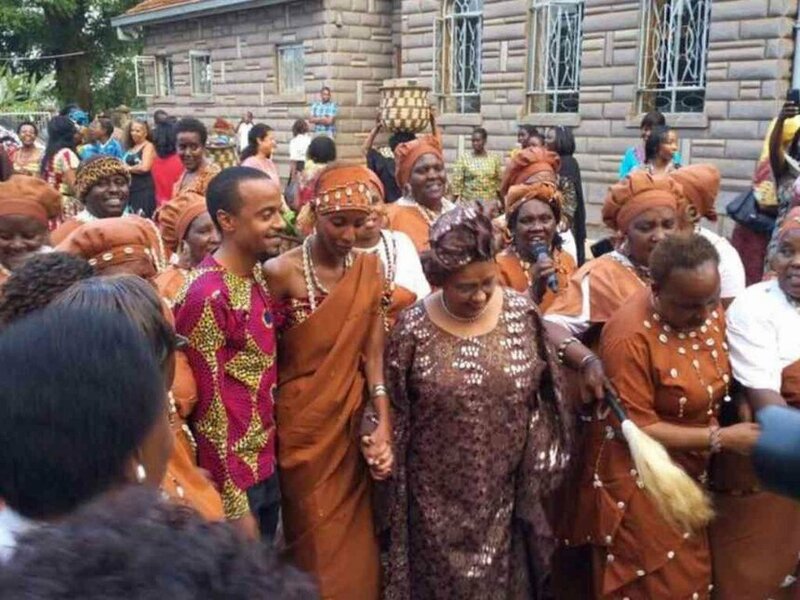 She was received by hundreds of people including the President’s family members, friends and neighbours. The ceremony is one in which the bride’s family visits the groom’s home to see where their daughter will settle.